Former Pacific Institute George Miller Water Policy Program summer intern Ayana Crawford has been awarded a Fulbright Award to pursue a Management Master’s degree at IE Business School in Madrid, Spain. 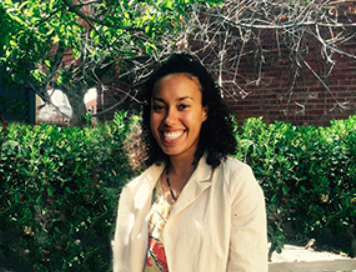 Ayana joined the Pacific Institute as an intern in 2016. At the Institute, she worked on projects examining how to make water more accessible to the public through public drinking fountains. She also contributed to research for the 2016 report Drought and Equity in California, analyzing the impacts of the five-year California drought on the state’s most vulnerable populations. Ayana graduated from the University of California, Santa Cruz in 2016 with a Bachelor of Arts in Environmental Studies. During her four years at UCSC, she co-authored an article on the human impact on California pumas and completed a number of conservation internships. Combining her knowledge in the environmental sphere with her interest in communications and development, Ayana plans to use her education at IE Business School to further her career on the business side of an environmental NGO.